A shadow slips across the landscape. Dogs howl and birds scatter. Mothers cast wary looks upward as children strain their necks to peek around the trembling hands protecting their eyes. Fear grips the hearts of people as charlatans defraud the vulnerable with mystical prognostications of foreboding and woe. And sometime this week, there will also be an eclipse. Of course, I am talking about the specter of special session for the Oklahoma Legislature and the corresponding cloud of second-hand smoke rising in relief as the cigarette tax was declared unconstitutional. I certainly would not want to be a legislator right now. They have an impossible task of dealing with cans kicked down the road for years, and there are no easy answers. No matter what happens, however, we should pray our smokers stay healthy, because they seem to be the only group anyone is willing to tax lately. We Okies are gifted with uncanny hindsight coupled with self-righteous indignation, a terrible combination and no help at all for those leaders trying to solve the problems our state faces. Our state officials do not need any more fingers pointed or recaps of past mistakes. They need our support to make common-sense decisions and adjustments. It is no longer a question of sacrifices needing to be made, it is simply a matter of how far we kick the cans down the road. Let’s not forget that we have term limits, so most of the men and women in office now are wrestling with issues they inherited . . . issues that we collectively supported or negligently allowed as a state. The vast majority of our elected officials genuinely wish to improve the state, and they sign up fully aware that the choice will cost them more than it will ever pay. Unless these public servants find value in the service, the service itself ultimately has no other value, especially in a social media age. They work in fishbowls, surrounded by naysayers living vicariously through Facebook. Frankly, I am amazed anyone runs for public office anymore. I suppose this is on my mind because my Board of Education just appointed a new school board member to fill a vacancy, and our city council candidates just participated in a public forum. Neither of these positions are paid, and neither will receive many accolades, but the responsibility is no less weighty. In fact, it may be greater because they work, shop, and worship every day among those they serve. Their phones never stop ringing, and they never have a day off. I recently saw old pictures of Second Street. I drove by the splash pad on a hot day and heard the children rejoicing. On the first day of school, I stood with educators happy it was only raining outside since their roof was replaced. I saw kids opening new textbooks, and I saw children run with joy to their new playgrounds. I sleep safely at night, drive on good roads, and live freely. These good things could not happen for long without someone stepping into an elected position. So instead of pointing fingers at our elected officials, maybe we should lift a finger occasionally to support them as they face some of the toughest challenges our state has ever faced. We face problems and uncertainty that I cannot comprehend, so God bless those who have answered the call to protect us from terrible darkness. 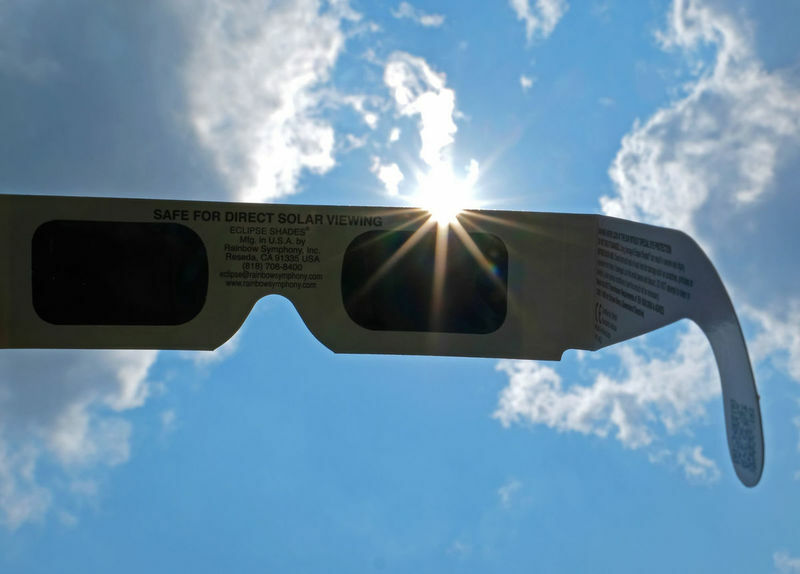 Nevertheless, if we do insist upon lining up as spectators, we should wear protective eyewear, true for watching either politics or Monday’s eclipse.